The Cochin Chamber of Commerce and Industry is creating an annual platform to recognize, acknowledge and motivate corporates such as you, in Kerala, that contribute to communities through their Corporate Social Responsibility initiatives. These CSR activities that enable positive changes vis-à-vis social, environmental, and economic transition for the community in the most sustainable manner will be acknowledged and awarded. SAMATVA 2015 , is the Chamber’s Corporate Social Responsibility Conclave that will showcase and provide public recognition for companies who have acted in a responsible and beneficial manner, linking themselves with ethical values, transparency, good employer – employee relations, compliance with legal requirements and overall respect for the communities in which they operate. Speakers at the Conclave will include leaders in the field of Corporate Social Responsibility. The Union Minister for Skill Development and Entrepreneurship Mr. Rajiv Pratap Rudy will be the Chief Guest on the occasion. LabourNet a Bangalore based Social Enterprise is our Knowledge Partner in this endeavour. We are confident that you will support this effort and oblige. I thank you in advance for considering our request. If you have any queries regarding the event being organized, please feel free to contact me at any time. BBG Chennai took a Delegation to the UK in association with the Madras Chamber of Commerce & Industry and Goa Chamber of Commerce & Industry. The 36 member delegation was in London from 16th to 19th March 15. The entire schedule can be seen here. From 6 April 2015, nationals from outside of the European Economic Area (EEA) including Indian nationals, coming to live in the UK for longer than six months will be required to pay a ‘health surcharge’ in order to gain access to the UK’s National Health Service (NHS). Currently non-EEA nationals coming to work, study or join family members receive free medical treatment under the UK’s NHS in the same way as a permanent resident. These changes will ensure that those coming to the UK make an appropriate financial contribution to the cost of their healthcare. The charge will also be paid by non-EEA nationals already in the UK who apply to extend their stay. The health surcharge will be £200 per year and £150 per year for students and will be payable at the same time as an individual makes their visa application. Visa applicants will need to pay up-front for the total period of their UK visa. In setting the surcharge levels, the Government has considered the wide range of free health services available to migrants coming to live in the UK, alongside the valuable contribution they make to the economy. “The health surcharge will play a vital role in ensuring Britain’s most cherished public service is provided on a basis that is fair to all who use it. For generations, the British public have paid their taxes to help make the NHS what it is today – the surcharge will mean temporary migrants will also pay their way. The changes will not affect visitors coming to the UK on a standard visit visa, regardless of its length, and visitors will continue to have to pay for any treatment they receive from the NHS at the point of receiving it. Those coming to the UK on an intra-company transfer (ICT Tier 2 visa) will be exempt from the charges but must still complete the process through the surcharge website. The surcharge levels are lower than the cost of medical insurance required in some of our competitor nations and, for overseas students, the surcharge represents only 1% of the total cost of studying in the UK for a three year undergraduate course. Having paid the surcharge, those coming to live in the UK will have the same access to the NHS as a UK permanent resident for the duration of their visa. The money generated by the health surcharge will go directly to funding the NHS. 1. The surcharge will come into effect on 6 April, 2015. 2. After completing the visa application form, paying the visa fee and booking a visa application centre appointment on the Visa4UK website, applicants will be required to make their Health Surcharge payment if required. Applicants must pay the Health Surchargeprior to attending their visa application centre appointment. UK Visas and Immigration will be unable to issue a visa to applicants required to pay the Health Surcharge if they have not paid. Further guidance will be published on the www.GOV.uk website from 6 April 2015. 3. When an application is refused, rejected or withdrawn, the charge will be refunded. 4. 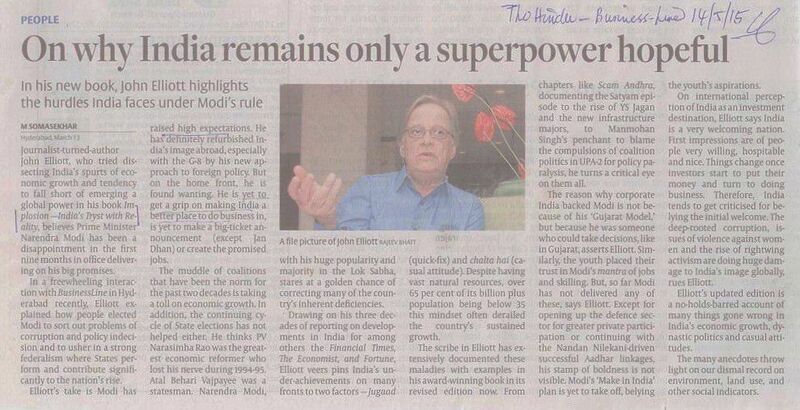 The charge will be set at an annual rate. Affected migrants will pay, up front, an amount that covers the entire period of their permission to stay in the UK. 5. Dependants will generally pay the same amount as the main applicant. 6. Non-EEA nationals coming to the UK on a tourist visa will not pay the health surcharge as their treatment will be chargeable by the Department of Health. Additionally, the Department of Health is strengthening arrangements to ensure that those who are chargeable for NHS care are appropriately identified and charged for the healthcare they’ve received. The NHS shares debtor information with the Home Office and those who incur debts of £1,000 or more to the NHS will normally be refused permission to re-enter or remain in the UK. 7. International students cost the NHS around £430 million per year and over £700 per head. The surcharge for students will be just £150 per year, a fraction of their true cost to the NHS. It is 1% of the cost of studying in the UK and is well below the price students pay for private health insurance in competitor countries, such as Australia and the USA. 8. Those coming to the UK on an intra-company transfer (ICT Tier 2 visa) will be exempt from the charges. In addition, nationals of Australia or New Zealand will not pay the surcharge due to reciprocal healthcare agreements. British Overseas Territories citizens resident in the Falklands Islands are also exempt, in line with our commitments to the Islands. However exempt groups will still need to log onto the surcharge website to confirm that they are exempt and receive a reference number prior to attending their appointment at the Visa Application Centre. They will need this reference number to apply for they visa and UK Visas and Immigration will be unable to issue a visa to applicants who do not have it. · Children in local authority care. · Migrants making an application for asylum, humanitarian protection, or a claim that their removal from the United Kingdom would be contrary to article 3 of the European Convention on Human Rights. 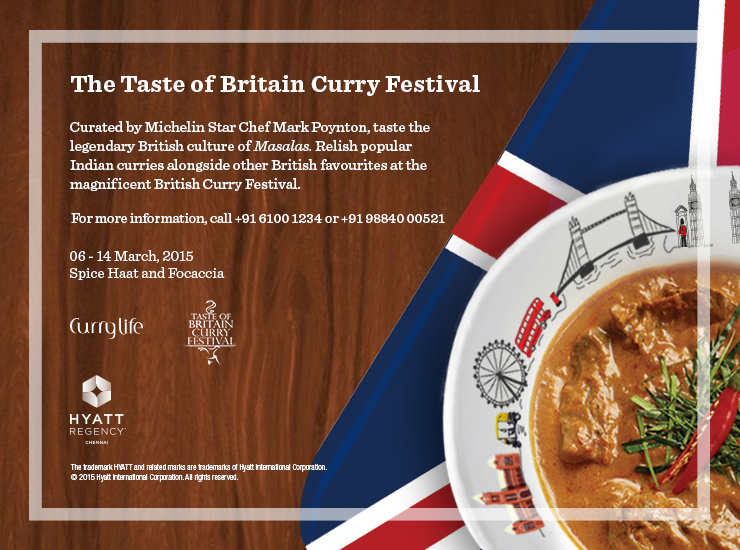 Hyatt Regency Chennai plays host to Curry Life Magazine’s unique annual festival- The Taste of Britain Curry Festival at Spice Haat & Foccacia from 6th March to 14th March, 2015. The festival will feature signature creations of Michelin Star Chef Mark Poynton along with his team of expert chefs will be treating the citizens of Chennai with 60 different delectable curries and more including dishes like British Chicken Tikka Masala, Balti and Jalfrezi. Also on the menu, Brit’s all time favourite dish ‘Madras’ named after the city, which still top the chart of the British curry restaurants. The word ‘curry’ is taken from the Tamil word ‘kari’ meaning sauce. Hot, mild, creamy or dry, any way you like it, the fact still remains: Curry has come to be the UK’s number one national food. The curry now outsells even fish and chips. Some twelve thousand restaurants in the UK cater to ever-increasing love of Indian food. To mark the arrival of the Taste of Britain team in the city of Chennai, the British Deputy High Commission is organising its National Day annual event to celebrate Queen’s Birthday. The elites of the city will be invited to tuck into dishes prepared by the visiting UK chefs to memorable celebration of Her Majesty’s Birthday. Chef Subrata Debnath, Executive Chef, Hyatt Regency Chennai says: I am very excited to be associated with the Taste of Britain Curry Festival. It is a great opportunity for me to collaborate with the visiting chef’s to provide a gastronomic journey and unique experience for our Chennai citizens. The festive is on at Spice Haat and Focaccia. On request of Hyatt Regency we are sharing this information with our members.